I live in the Puster-Valley, a hundert km long, about half of it in Italy, the other half in Austria. To the South a well known Mountain-range, the Dolomites, with the Nature Parks, “Drei Zinnen”, “Fanes Sennes Prags” and “Puez-Geisler. To the North Nature Park Rieserferner-Ahrn which reaches the central Range of the Alps and also borders with Austria. Not so famous, but just as beautiful, just different to the Dolomites. 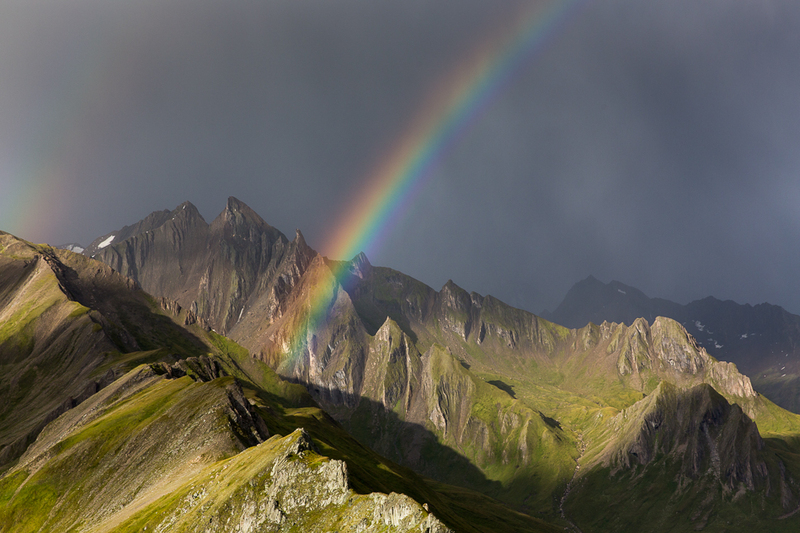 The Image shows “Gabelspitz” in a dramatic scene with a rainbow appearing just after a heavy rain with thunderstorm. Somehow, apart from the thunderstorm, it reminds me on Iceland.